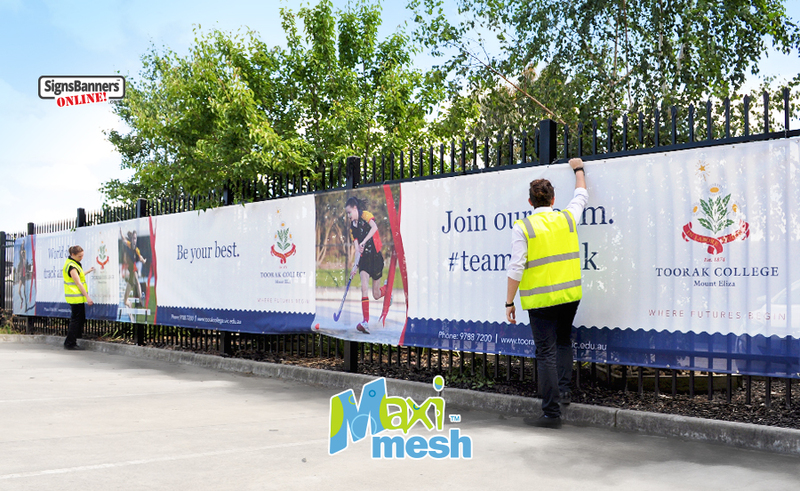 All purpose SIGNAGE mesh: Advertising, Fence, Printed Dust Control, NO FADE ink. General purpose with tiny holes, it is favored by clients because it offers the best print outcomes with more 'ink per square-ft' than any other mesh. It looks beautiful and the colors are amazing. 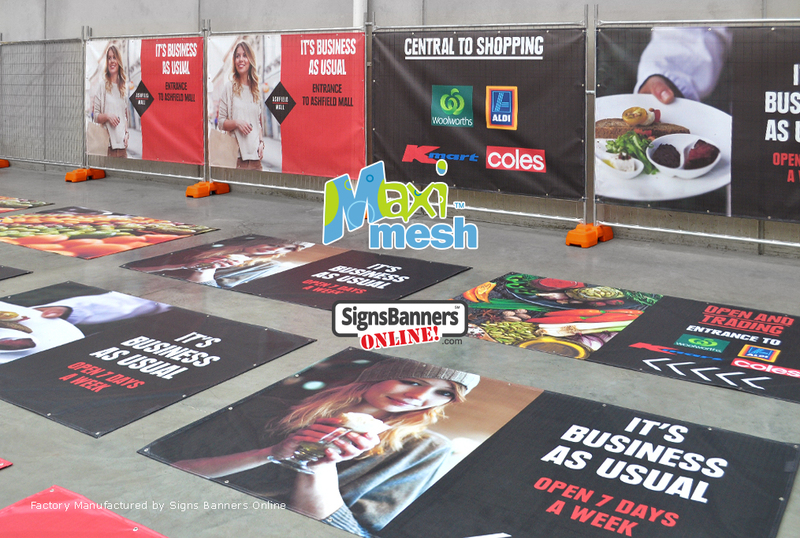 Signage Maxi-Mesh is suited for a wide range of outdoor signage applications and supplies. 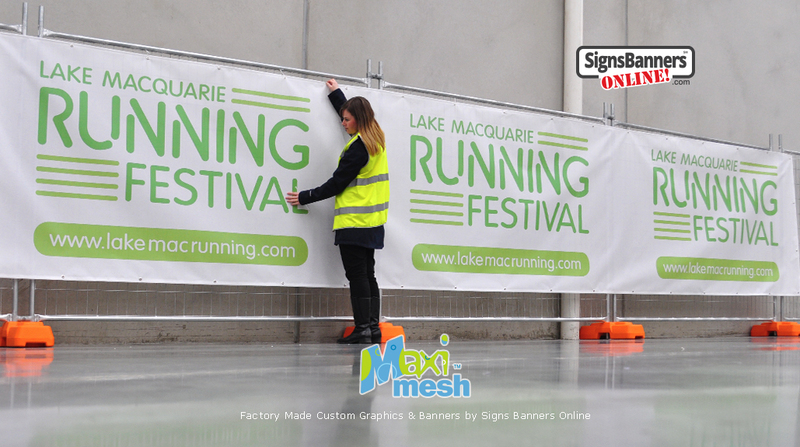 Maxi-Mesh offers building companies the best printed dust control mesh available. 2.1x better than printed shade cloth. Note: Particularly noted for printed advertising DUST CONTROL seal offering breathability. Event Popular by those event managers who wish to re-use/store their banners for next time. Folds down excellently and can be washed. 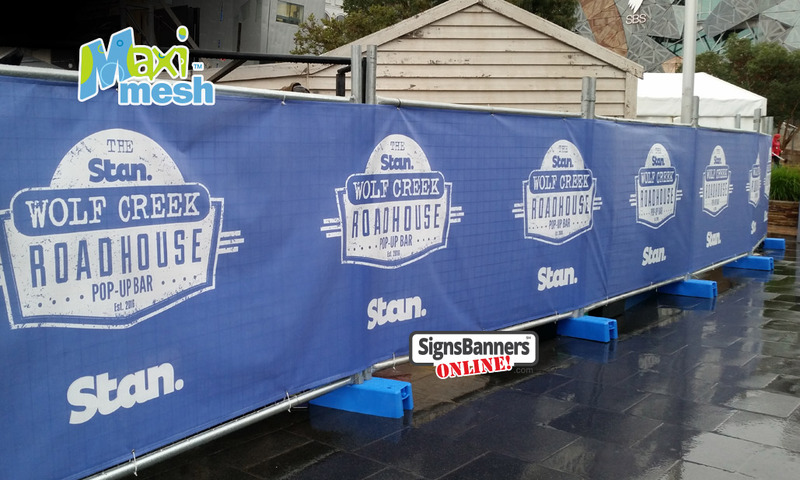 Using Direct to Vinyl Printing (gaseous ink systems) for printing printing the pvc shade cloth banner is ideal for clients who want brighter colors, deep ink setting and smooth vignette graphics on their mesh media. #1 Why is it better than cheap pp shadecloth? Stronger color depth and print results, stronger outdoor ink life, higher quality graphics. #1 Outdoor applications. Lightweight super strong and breathable. 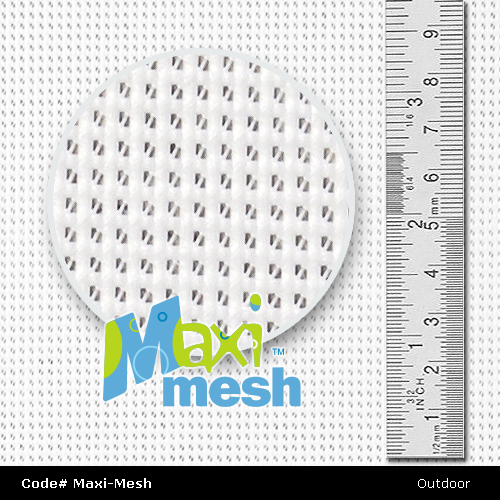 NOTE: Maxi-Mesh is a 'cover material only'. It is not a safety fall product. 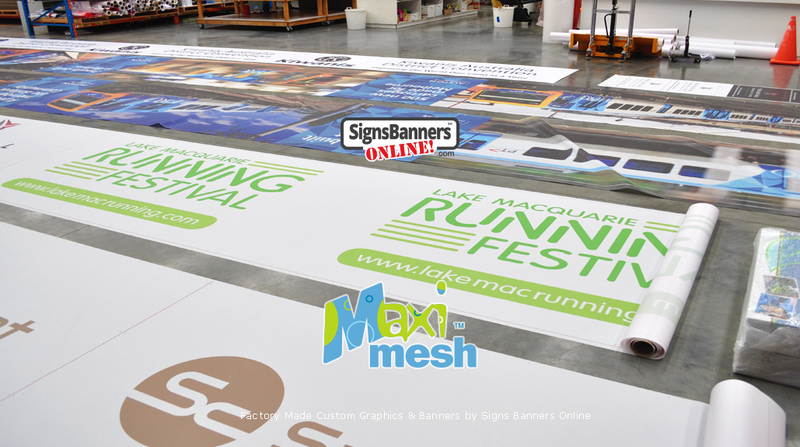 Comparison Maxi-Mesh offers a tighter finish and provides 2.1x times more ink coveage than cheap shade cloth printing. Tiny breathable holes for superb dust control. Cheap. As seen throughout Massachusetts by building companies and developers everywhere! No minimum size, No minimum quantity required. Washable for storage and re-use. 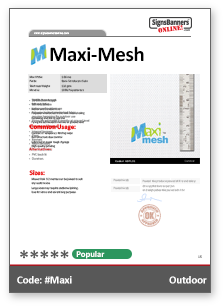 Special Feature: Maxi-Mesh has a special angled 'anti-tear' joiner for bonus strength. "Its the perfect size for temporary fence hire". 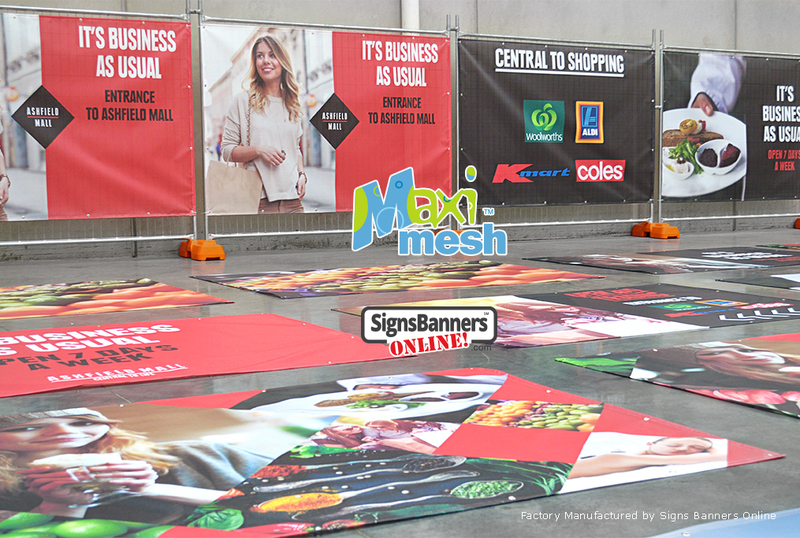 Factory made, we proudly show you the mesh banner printing factory because we are the factory. 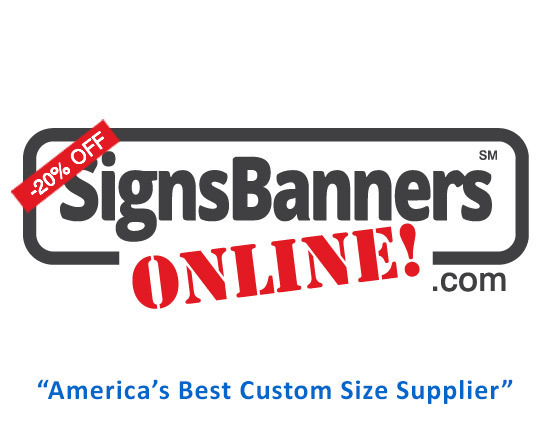 Direct to you, trade, wholesale, reseller we can supply and make your custom printed signage fast. 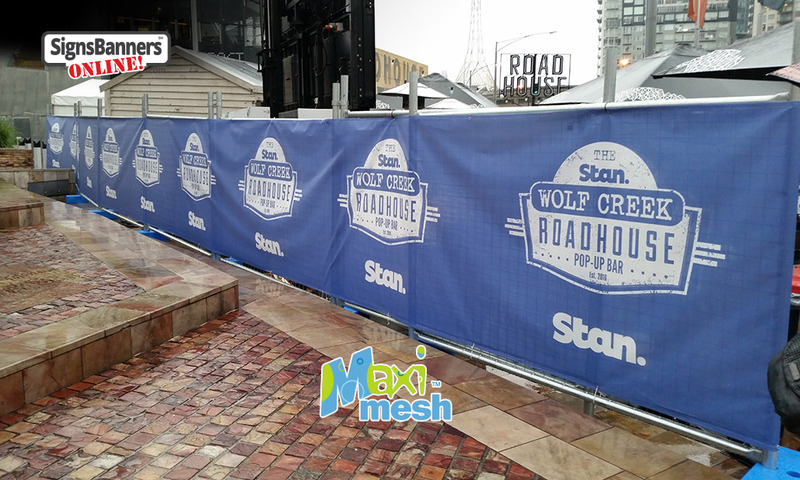 Most popular temporary fence branding. 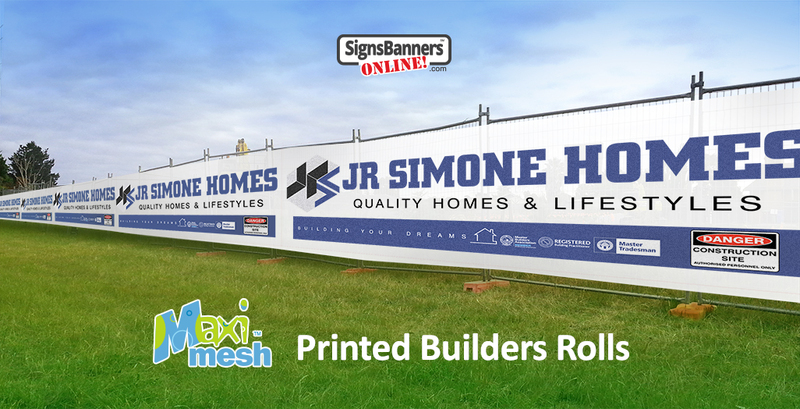 MOST POPULAR for temporary fence branding and site signage. 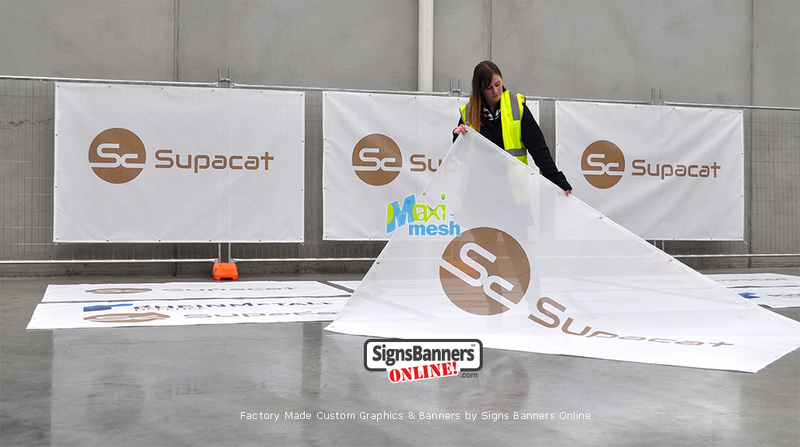 Ideal for event and general purpose banner. 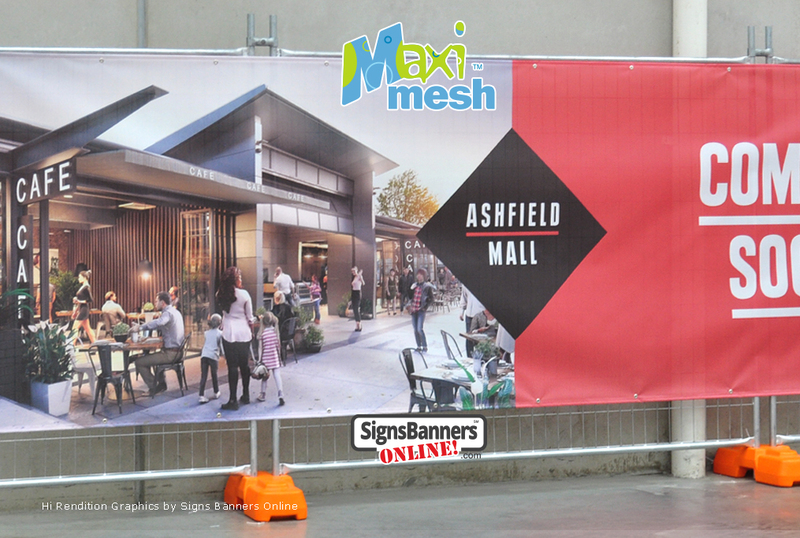 NOTE: We use and recommend Maxi-Mesh for our own signage.